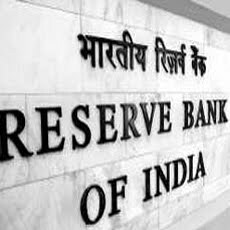 The Reserve bank of India (RBI) proposed to introduce credit default swaps, or CDS, in Indian markets, enabling firms to hedge against any possible default by a bond issuer. This is the third time RBI has come out with a draft report on CDS. The first was in 2003 and second in 2007. As the introduction of CDS got delayed after a credit crunch hit the global financial system in the wake of the collapse of US investment bank Lehman Brothers Holdings Inc. in 2008. Further, RBI has also put up draft guidelines on the website for Public Comments. CDS, the most sophisticated financial instrument the Indian market could be seeing, is a derivative used to offset risks in debt markets. It allows creditors to insure themselves against the possibility that a borrower might default. Like all derivatives that reflect the value of an underlying instrument, CDS reflects the value of a bond or a loan. If an investor in a company’s bond wants to buy an insurance against a possible default by the issuer, the investor could buy CDS for a price, technically called CDS spread. The CDS seller, in turn, guarantees to pay the buyer a predetermined amount if the bond issuer defaults on repayment.